The renovation of iconic Bridgford Hall in West Bridgford has moved a step closer. The Grade II listed Georgian building dates from 1768 and has a long history with the local Musters family. The Hall was bought by Rushcliffe Borough Council in 1923 and used as its offices until 1982, after which Nottinghamshire County Council’s registration service moved in. The hall is loved by residents county-wide because of the role it has played in births and marriages. 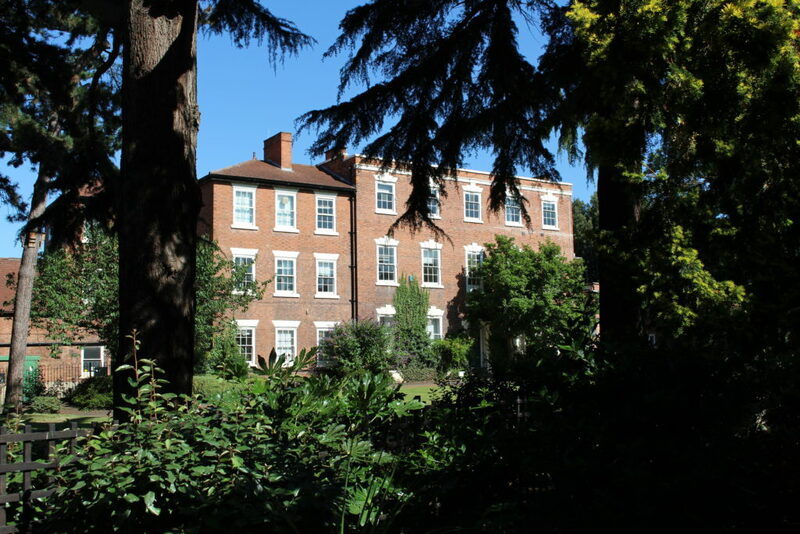 Bridgford Hall has stood empty since January 2014. In December 2015 the Council was awarded a Heritage Enterprise Grant of £1.495m from the Heritage Lottery Fund (HLF) which is being used to restore and convert the Hall into an aparthotel, and to return the County Council registrar service to its previous home, once again enabling the local community to marry and register births and deaths at the Hall. The registrar service has a waiting list for wedding ceremonies in the newly refurbished hall, which is due to be completed by Spring 2017.
gain employment and take up training opportunities. Rushcliffe Borough Council has already secured tenants for the completed building. Birchover Residences will be operating the aparthotel and Nottinghamshire County Council Registrar service will return to the Hall. The Council and the tenants are committed to ensuring that the finished building offers a desirable and high end wedding venue with aparthotel that will bring economic benefit to the town centre area. Cllr Simon Robinson, Portfolio Holder for Resources said: “This is great for the local community and wider Nottingham. This historic building will provide jobs and a quality aparthotel to complement the great leisure provision in West Bridgford and Nottingham. Carl Bridge, co-owner of The Birchover Residences commented: “We are thrilled that The Birchover Residences will be custodians of this historic and beautiful building. We are looking forward to meeting local people and businesses to see how we can work together for the benefit of the West Bridgford community. We have a great working relationship with Rushcliffe Borough Council, the Registrar Service and all parties involved to this stage. It is a very proud day for my wife Lisa and I, together with all our team and we look forward to being part of this fantastic project for many years to come”. To celebrate the renovation project, the Council is running ‘hard hat’ tours where people can take a look behind the hoardings, meet members of the project team and see the redevelopments plans. There are five tours taking place on Thursday 10 March. To book your slot, go to www.rushcliffe.gov.uk/bridgfordhall/.